Tank Redoubt where tanks and infantry attacked the Ottoman lines. 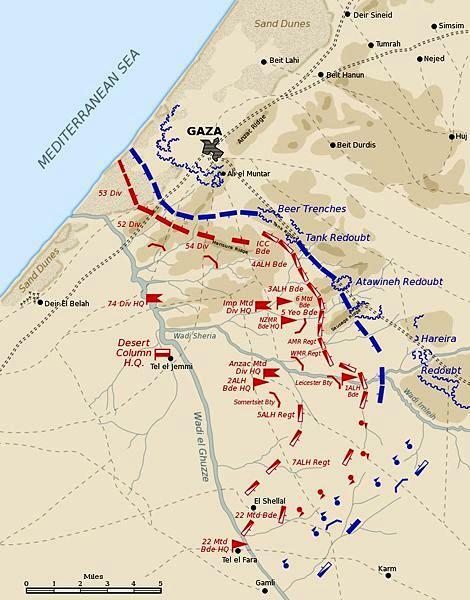 Second Gaza, fought on 19 April 1917. this action occurred as a result of a renewed British attempt to capture the Turkish coastal strong point situated on the edge of sand dunes three kilometres inland. The British commander of the Egyptian Expeditionary Force, General Sir Archibald :Murray, determined on a direct frontal assault by three British infantry divisions, the Imperial Mounted Division (which was half Australian) and the Imperial Camel Corps (also half Australian) both fighting in a dismounted role. Intended to help the attack were six tanks and a supply of gas-shells, which had been recently received and not previously employed in this theatre of war. Supporting the main thrust was the Anzac Mounted Division (half Australian, under Major-General Harry Chauvel. This attack was even less successful than the first assault three weeks earlier, as the Turks were both better prepared and numerically stronger than before. 'The infantry fought hard to reach the ridge southeast of the town, where a few of them-in conjunction with a larger party of Australians from the Camel Corps and a tank-managed to capture one redoubt. Another was seized by other Australian camel troops and light horsemen of the Imperial Mounted Division, but with heavy losses. Chauvel's division, given the task of keeping away any enemy reinforcements attempting to intervene from the east, went into action against the Turkish 3rd Cavalry Division and easily drove it off. The whole effort was a dismal failure which cost the attacking force over 6,000 casualties-5,000 among the infantry, 547 in the Imperial Mounted Division, 345 in the Camel Corps and 105 in the Anzac Mounted Division. 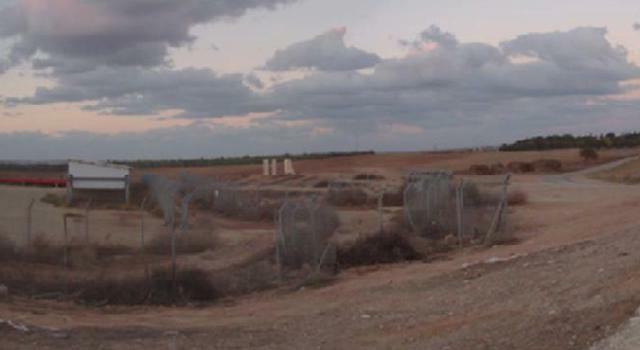 The attack never seriously threatened the Turkish defence of the town, and, far from helping British aims in the area, gave a significant boost to enemy morale and convinced them that they could continue to hold southern Palestine. "Victory is sweet." 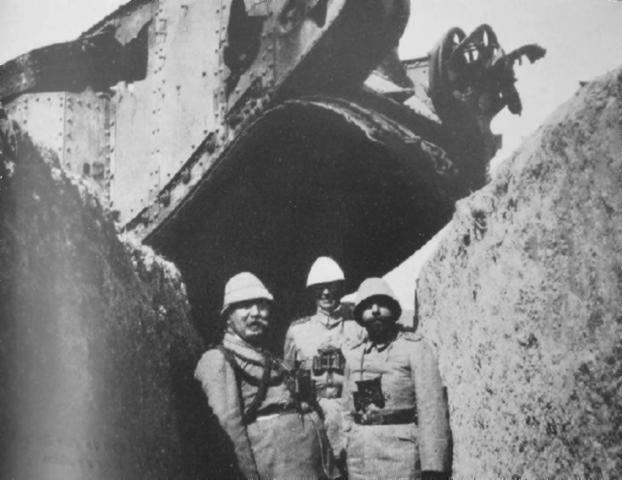 Generals [l to r] Issed, Kress, and Djamal, toast their success under a destroyed tank after the battle. Extracted from the book produced by Chris Coulthard-Clark, Where Australians Fought - The Encyclopaedia of Australia's Battles, Allen and Unwin, Sydney, 1998, pp. 126-127.